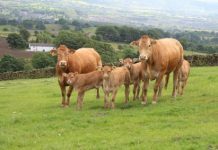 With a life-long family association with the breed it was no surprise that when Will Ketley decided to establish a pedigree cattle herd as part of his farming enterprise it was Limousins he chose. 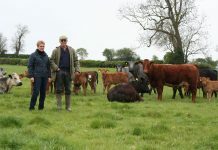 Having seen the potential of the breed to produce growthy, long, well-shaped cattle in his father and grandfather’s suckler and finishing cattle enterprises Will, who farms in partnership with his wife Libbie under the Toppesfield prefix, believes the breed is the one to beat in UK cattle production. 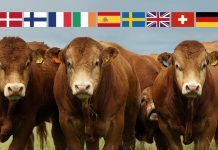 “Whether you’re producing suckled calves, store cattle or finishing your own suckler-bred cattle, there is no doubt the Limousin is more than capable of producing top-quality cattle which attract a premium price from buyers. 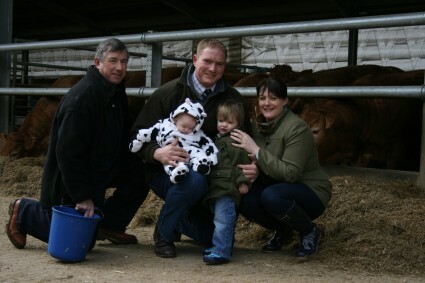 Having grown up on the family farm and worked alongside his father, Gerald, Will has in the last few years taken on the management of more than 2,000 acres for his father in-law Keith Ripper, with most of this land in arable production targeted at combinable crops with some forage maize grown for the cattle. 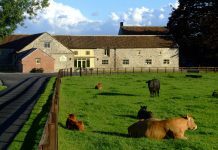 “I’m a cattle man at heart and with the opportunity to run our own herd on the farm here at Toppesfield Hall I felt a pedigree Limousin herd was the best option to maximise the value of the enterprise. 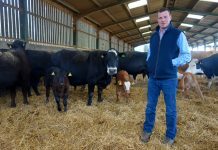 Grass leys form an important part of the blackgrass control regime in the arable rotation too, so having cattle to utilise those leys is a good fit,” explains Will. 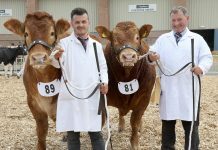 Early purchases have come from a number of British Limousin Cattle Society sales, including last April’s Limousin Day at Newark; the Wilodge, Goldies, Haltcliffe and Glenrock Sale last July; the Miscombe Dispersal; as well as other Breed Society sales at Carlisle. “I wouldn’t say I’ve gone out looking for any particular bloodlines, but I’ve wanted a certain type of female. Long, clean and feminine have been the main criteria in the foundation stock. I’ve looked for females which will form the foundation of productive families and which are correct,” says Will. Supplementing the bull power is Loosebeare Bomber, a Rainbow Simon son bought from the Miscombe Herd Dispersal for 3,800gns. “I’ve always liked the Simon sons and he had left some good calves at Miscombe, so we knew what he was capable of. 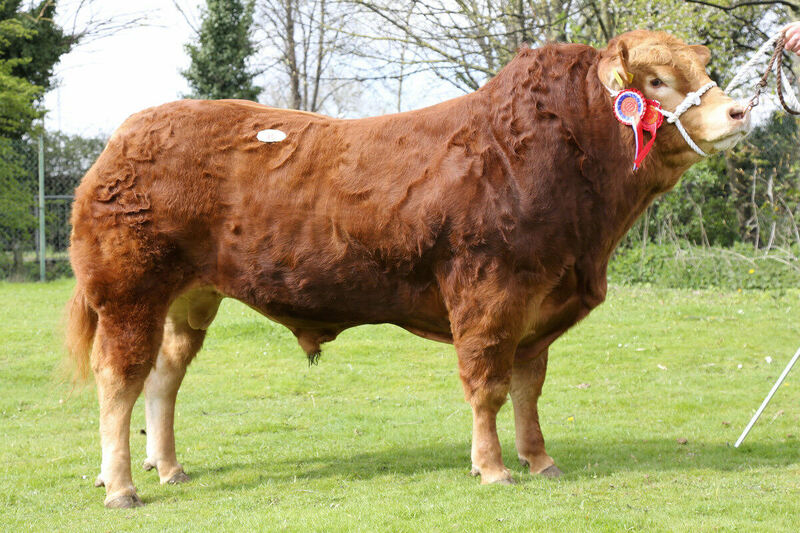 “Most recently I’ve bought Knock Europa, a black bull by Newhouse Billy. We’ve used him on the heifers for ease of calving and I’m looking forward to seeing his calves when they arrive in the coming months,” he adds. Notable female purchases have included Brockhurst Caitlin, a Glenturk Ultrasolid daughter, at 4500gns; Lodge Flute, an Attila daughter, at 4400gns; Haltcliffe Francis, a Cloughhead Umpire daughter, at 4300gns; and Miscombe Geisha, an Oxygene daughter, at 4000gns. But as Gerald Ketley points out, compared to the foundation females he and his father bought for their Picketts Herd in the early 1970s, these look exceptionally good value. 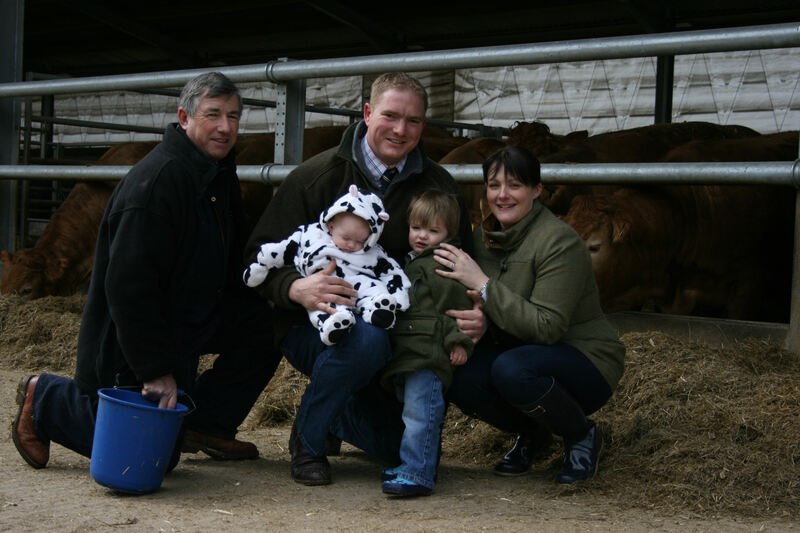 “We bought two French heifers as our foundation stock and they cost us £3,500 back then, so paying 4-5,000gns 40 years later looks like good value to me. 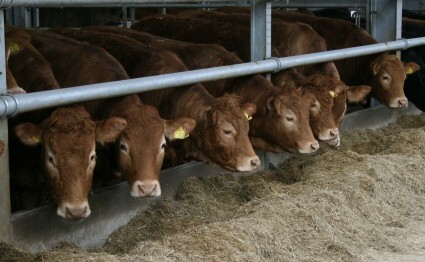 Gerald says the family has stuck with the Limousin since those early days and the breed has proved its worth for them. 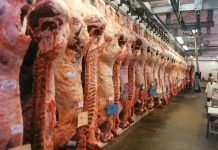 “We started in the breed very early on, but it was just as leaner meat was being wanted and the timing was perfect for the breed to capitalise on that demand. 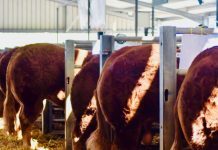 But, Will says, times are changing and as regional sales, such as the East Midlands Club Sale at Newark, start to grow in importance and buyers are less willing to travel due to time and financial constraints, there is a growing opportunity to market bulls more locally. 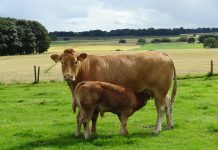 “Undoubtedly we’re not in the middle of cattle country here in north Essex, but there are a good number of suckler herds in Norfolk and other surrounding counties. Many commercial producers want to source breeding stock closer to home wherever possible, due to disease issues such as TB, and to help reduce the time spent away from the farm. “It would be nice to think that in time we may be able to produce some bulls suitable to take to some of the major breed sales, but the focus has to be on producing commercial bulls which can be sold at local sales and from home,” believes Will. 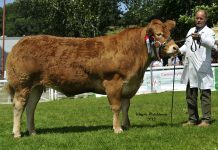 The Ketleys’ commercial show team has largely been dominated by Limousin crosses for many years and Will is firmly committed to the breed for his commercial selection too, with this year’s team featuring a number of crossbred Limousins in the mould of previous Ketley cattle. Previous articleSPRING 2013 MAGAZINE NOW OUT!